It’s time you outsource your manufacturing and fabrication needs. Not only will you save money, but you will also remove the responsibility of making sure manufacturing is running properly—it will be someone else’s headache. There are a number of benefits, including growth, flexibility, and quality. When it comes to choosing a sourcing company for your products, it can get a little overwhelming. There are hundreds of companies to choose from, so how do you find the best one? 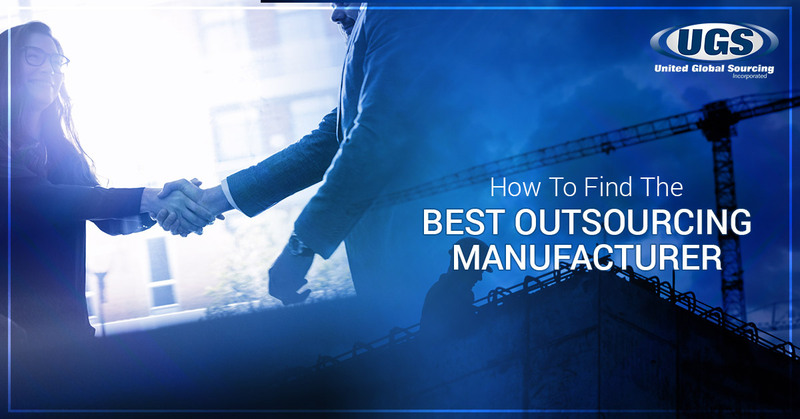 In this post, we’ll share some general advice on how to identify and qualify a sourcing company for your company’s manufacturing needs. Ready to discuss your outsourcing needs? Give United Global Sourcing a call today to get a FREE estimate. Otherwise, continue reading to learn more. The goal with this is to avoid choosing the wrong manufacturer. The cost of overruns, transitions, and delays can become substantial. It’s important to identify which sourcing companies you want to work with before you commit to a contract. You want to do your due diligence and discover as much as you can about potential sourcing companies. This means that you will want to contact them, ask for references, find referrals, and gather reputation information on them. The more work you do to identify legitimate companies, the better your chances will be to cut cost when you outsource your manufacturing needs. Look for certifications and licensing where applicable. These will show you that the potential company has committed to the process and work at a certain standard, which is something you will need to confirm meets your vision and needs. Finally, determine the location of the potential manufacturer. This is huge, depending on your fulfillment and shipping obligations to you and your customers. If you can identify a great sourcing company, you can trust they will take care of their part of the contract and help you make more while impacting the world market. Ability – Is the company competent in manufacturing or fabricating your product? Legal – Does the sourcing company hold the proper certification or licensing? Quality – Does the company’s product meet your standard of quality? Cost – Will outsourcing to the potential company lower or raise costs? Capacity – Will the potential company be able to handle your current needs and potential growth? Commitment – Does the potential company value your business and want to help it grow? Delivery – How efficient and consistent is the sourcing company with their deliverables? Communication – How effective is your contact person’s communication skills? Technology – Does the chosen company stay updated with the necessary/latest technologies to fulfill your manufacturing needs? This is a short list of qualifying factors you need to check with any sourcing company you consider to do business with. United Global Sourcing is dedicated to your company’s success. We offer a variety of manufacturing process and supply-chain services to meet your needs. When it comes to outsourcing manufacturing, we are here to help. Most company’s connect you with a manufacturer and disappear. We stick around and offer a 24-hour communication cycle that keeps you up to date and on top of your manufacturing and supply chains. Ready to get a FREE estimate to outsource your manufacturing and fabrication? Contact United Global Sourcing today!